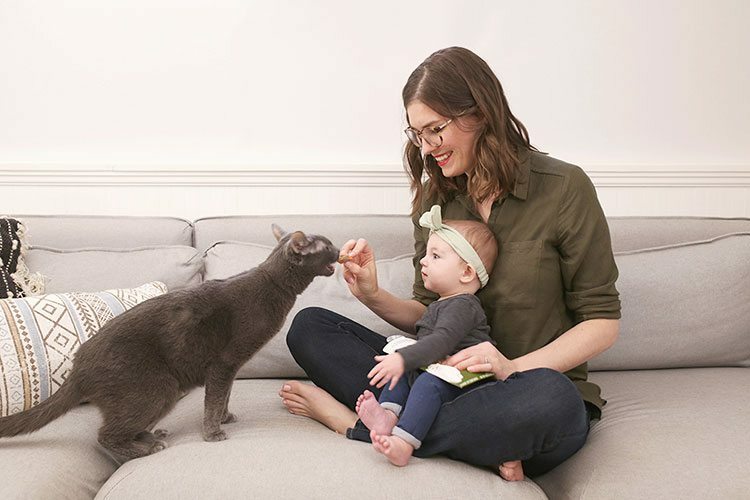 I’ve partnered with the makers of Fancy Feast to show you how to treat your cats with a pretty new piece of modern cat furniture and something wholesome and delicious to snack on. It can be hard to get indoor cats to really play and burn off energy. Mine in particular seem to turn up their twitchy little noses at the different cat scratching posts we’ve brought home, so naturally I had to create my own. Scroll down further for written instructions, a printable template, and more. 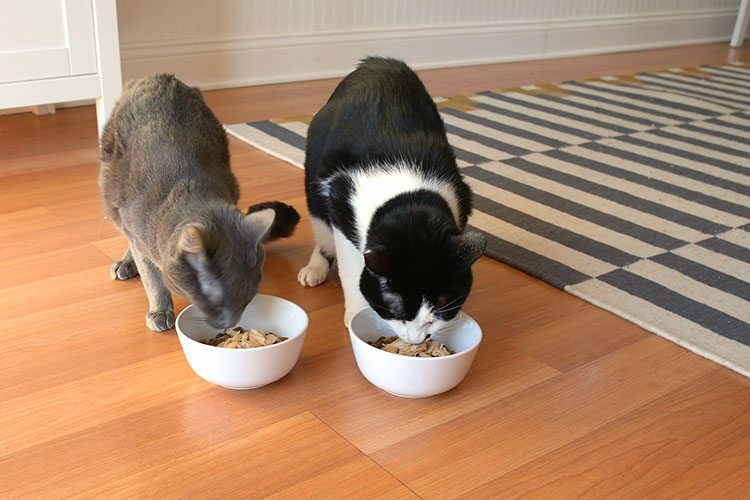 I love to be able to offer some positive reinforcement when they exercise, and we can’t get enough of the brand new, all natural Purely Fancy Feast Filets. Flake it. Break it. Serve it whole. 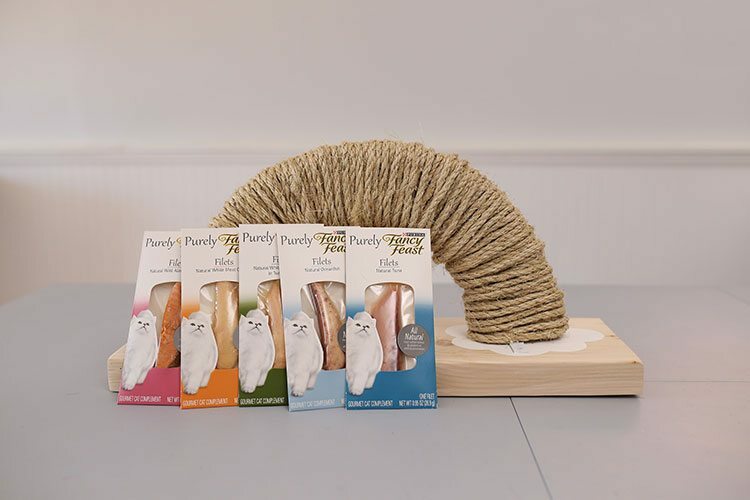 They’re super versatile because they are literally whole big pieces of fish or chicken, so you can treat your cat in such a variety of ways! Rosco can be a bit of a bully when it comes to food. If we don’t feed the guys separately, then Ross will try to push Mish out of the way so that he can eat his food first so that he can go back and also have his own. So I decided Mish deserved a little pot of gold at the end of the rainbow for putting up with his brother all these years. I served him up a Purely Fancy Feast Filet whole and let him go to town. And he sure did! The filets don’t have any biproducts, fillers, or anything artificial, so you really are serving your little carnivore a natural, healthy piece of meat. Lady baby is super into the cats, but she pets like a claw machine (except an imaginary kind where you can actually win something). We’ve been trying to teach her about being gentle, but at the rate we’re going, the boys are getting a little wary of her. Here’s a sweet video of Cricket with the boys, and it make me just melt every time I look back on it! You cat people out there know that nothing brings the family back together like a juicy treat, so Cricket and I broke off pieces of a white meat chicken Purely Fancy Feast Filet to show the guys that sometimes she comes bearing gifts instead of just leaving with tiny handfuls of their. 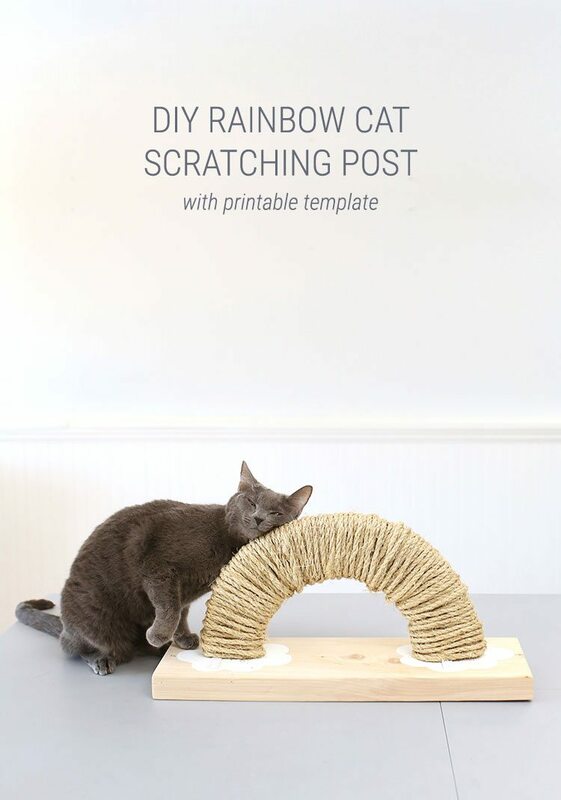 I put together a little video to help you make a DIY cat scratching post, or you can scroll down a bit for the more detailed written instructions. 1. 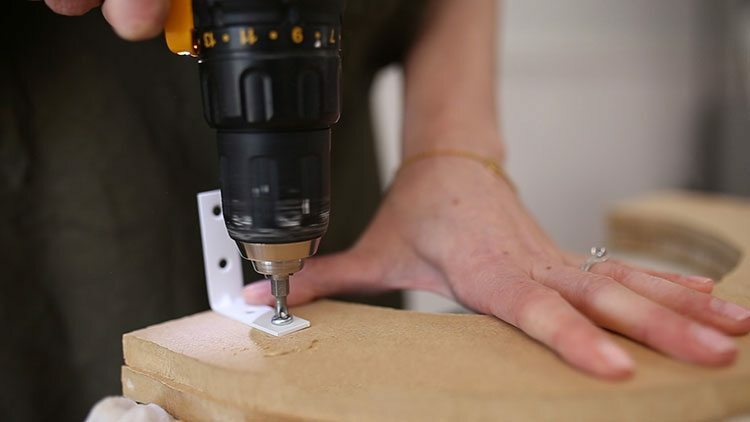 Sand your wooden base to smooth away any rough edges so your fur babies don’t get splinters. 2. 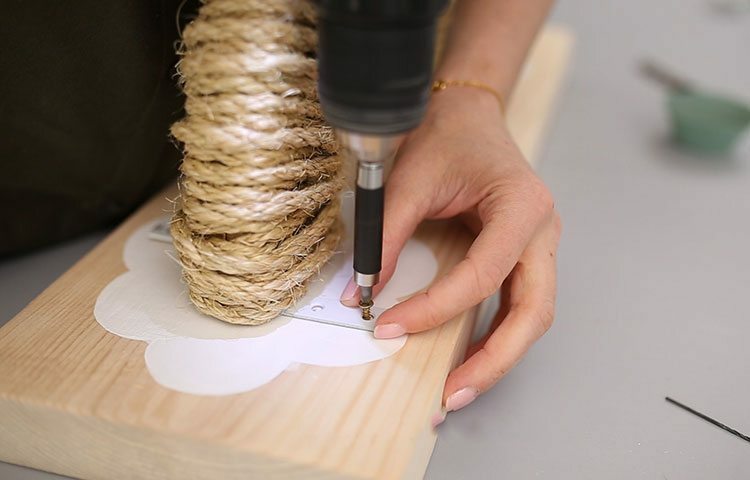 Trace the cloud template onto the base approximately half an inch from each end with a pencil or some chalk. 3. 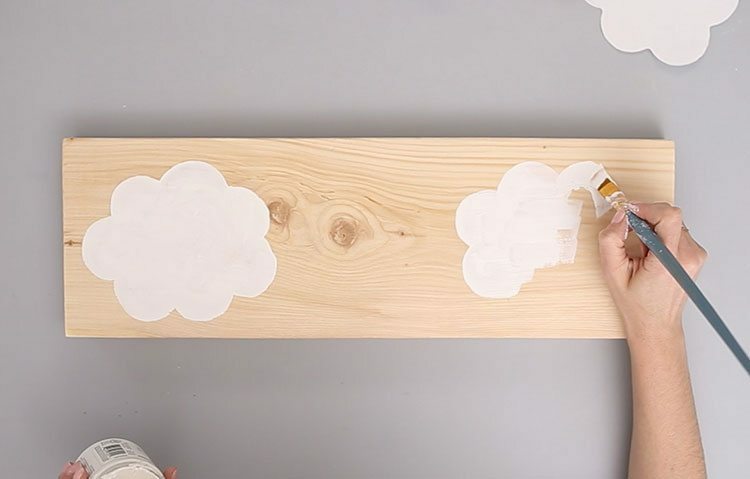 Paint the clouds white using chalk paint, and set the base aside to dry. 4. 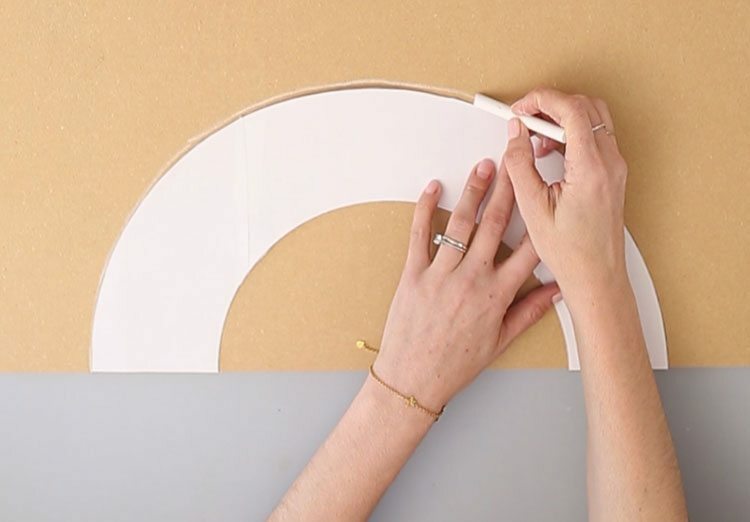 Trace the rainbow template twice onto .5 inch thick wood or MDF with a pencil or some chalk. 5. 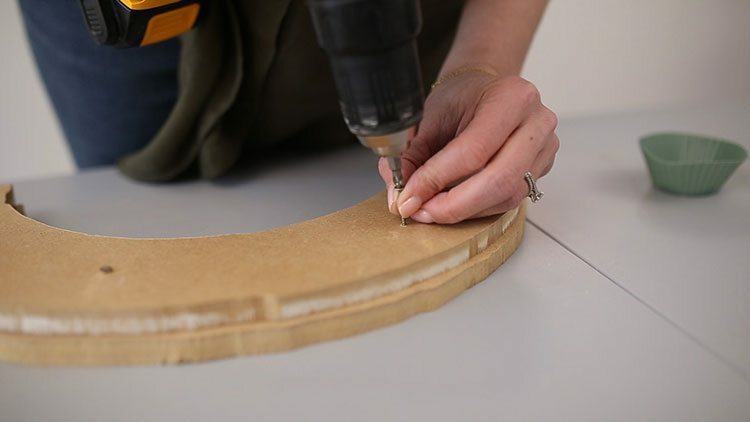 Cut out the two rainbows using a scroll saw or Dremel tool, and go slowly on the curves — especially the smaller inside one. I used a Dremel with a wood cutting attachment, and as you can see, my cuts were pretty rough. That’s totally fine because we’re going to cover it up! 6. Screw the two rainbows together to make a thicker, sturdier piece. You can just add two .75 inch screws toward the top, and that will keep everything nice and tight. 7. Attach a bracket to each side, for a total of four. Use .75 inch screws instead of the ones that came with the brackets so that they go through both pieces of rainbow to hold them together. 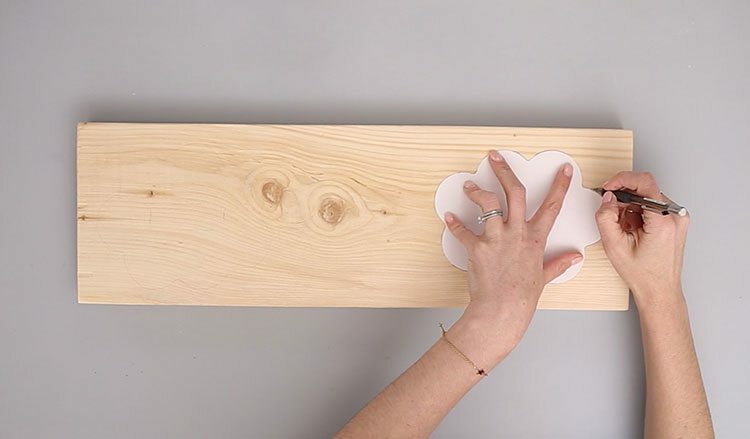 Refer to the template for where to attach the brackets so that they fit nicely inside the clouds later. Tip: I spray painted the brackets white before attaching them so that they blend in with the clouds. 8. 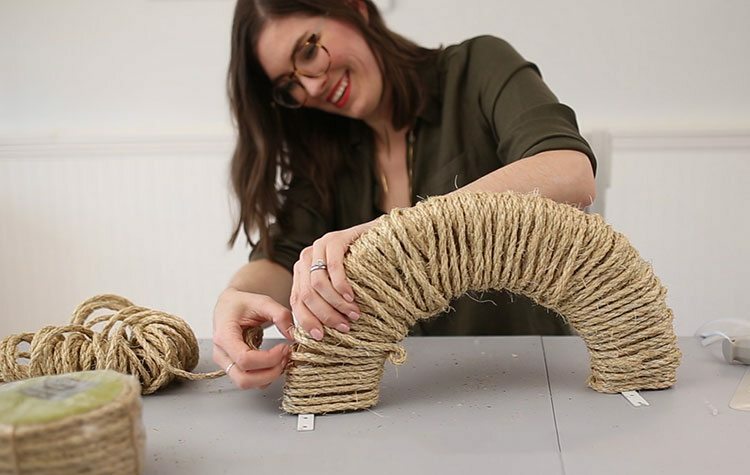 Hot glue the end of your sisal rope to one side of the rainbow, and then wrap the rainbow very tightly from one end to the other. 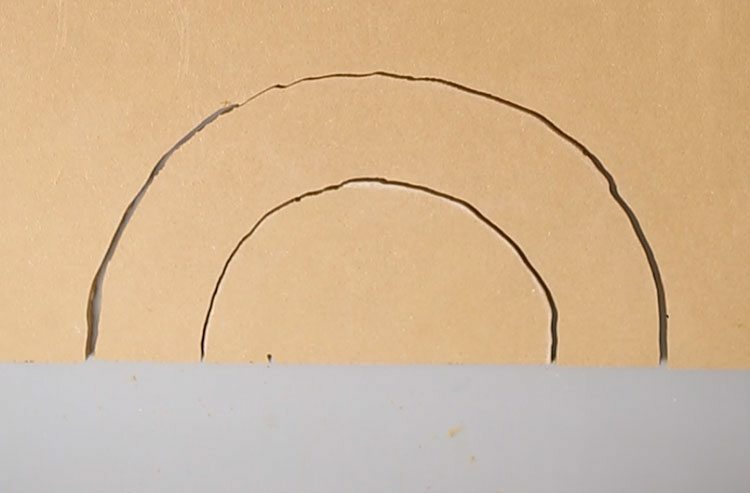 You’re going to have gaps because the inside of the rainbow is shorter than the outside, so when you get to the end, wrap it again until you get back to your starting point. 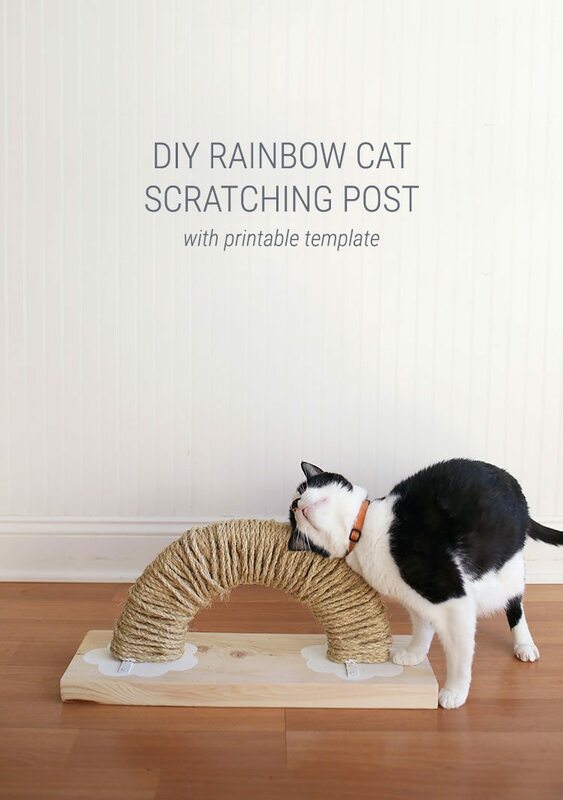 Glue the end down and snip it off as close to the rainbow as possible. 9. Position the brackets inside the clouds, and screw the rainbow onto the base. And voila! 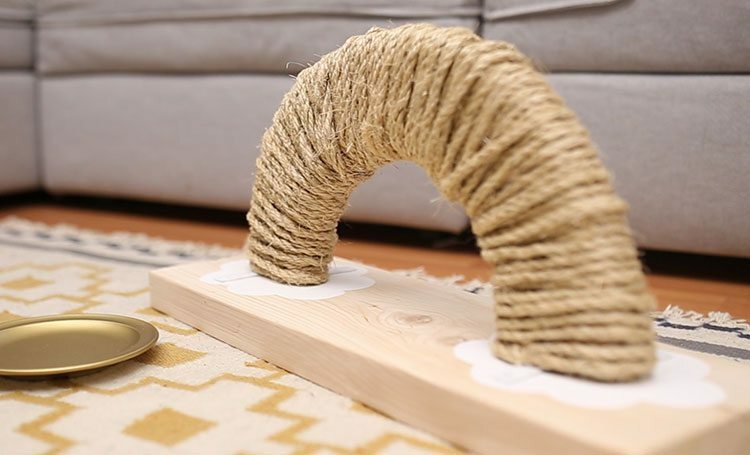 You’ve just built the cutest cat scratch pad the world has ever seen. And if my cats are any kind of evidence, then it’s sure to be a hit! 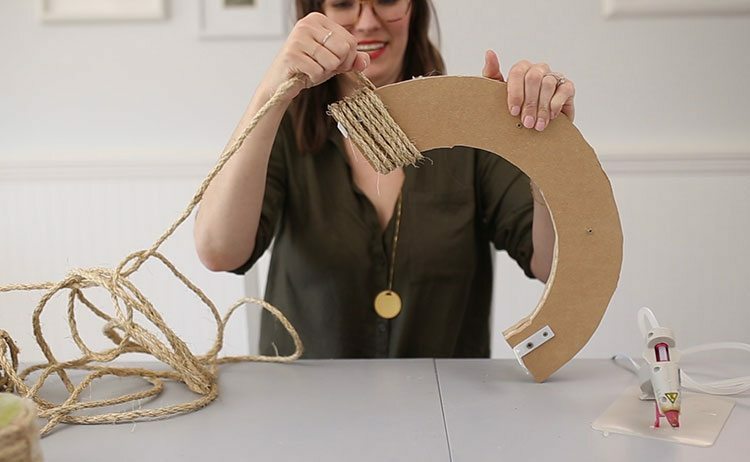 Fantastic tutorial and What a great idea it’s also looks very modern and elegant! I’m obliged for the article. Much thanks again. It sounds great! Thank you for the tutorial!! 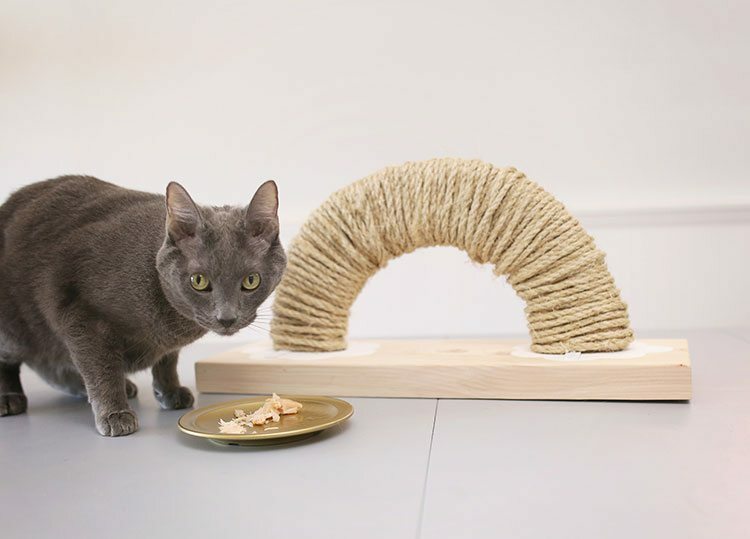 My cat will love this scratch pad, he only has some foam floor mats to play.